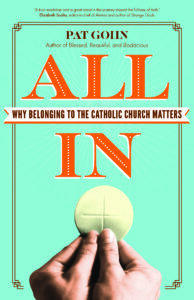 This is a third excerpt from my latest book, All In: Why belonging to the Catholic Church Matters. I read part of Chapter 2. In this selection I describe the what I call “the mud-splashed bride” syndrome, and its antidote. Find reviews for the book here or on Amazon.